Dr. Shaha accepts the following list of insurance providers. Select your insurance provider to see more details. His well-established authority in head and neck oncologic surgery has resulted in honors from the American Academy of Otolaryngology—Head and Neck Surgery and the Society of Head and Neck Surgeons. 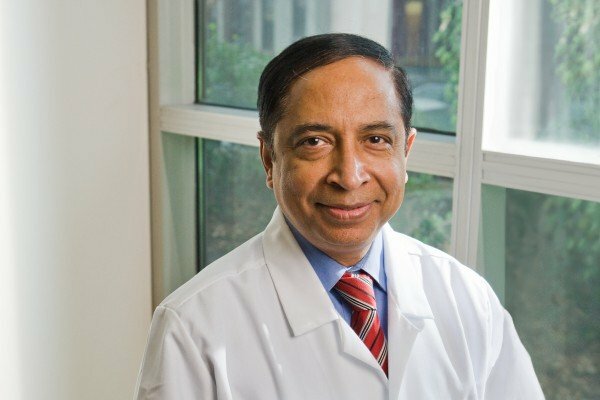 He has been elected to top leadership positions in the American Head and Neck Society, the American Association of Endocrine Surgeons, the New York Head and Neck Society, the New York Cancer Society, the New York Surgical Society, the Brooklyn Surgical Society, and the American Society for Surgeons of Indian Origin. Dr. Shaha serves on the boards of the Journal of Surgical Oncology, Head and Neck, the Annals of Surgical Oncology, the Brazilian Journal of Surgery, and the Gulf Journal of Medicine. He has published more than 275 peer-reviewed scientific articles and more than 125 invited articles. Noted for his commitment and skill in educating physicians, he has chaired several international conferences, and currently serves as the Chairman of the American Head and Neck Society’s Advanced Training Council, the society granting academic approval to head and neck surgical programs and trainees. He relishes his involvement in training the next generation of head and neck surgeons, and is the recipient of outstanding teaching awards from Memorial Sloan Kettering and SUNY Downstate Medical Center in Brooklyn. Proceedings of the Fifth International Head and Neck Oncology Meeting. Johnson J, Shaha AR. Los Angeles: American Head and Neck Society; 2000. Operative Techniques in Otolaryngology – Head and Neck Surgery. Shaha AR. Philadelphia: WB Saunders; 2003. Operative Techniques in General Surgery. Shaha AR, van Heerden J, Farley DR, eds. Philadelphia: WB Saunders; 2004. Proceedings of the Sixth International Head and Neck Meeting. Shaha AR, Weymueller E. Washington, DC: American Head and Neck Society; 2004. “Differentiated thyroid carcinoma.” Shaha AR, Lim D. In: Prognosis and outcomes in surgical disease. McKellar DP, Reiling RB, Eiseman B, eds. St Louis: Quality Medical Publishing; 1999: 18-19. “Medullary thyroid cancer.” Shaha AR, Lim D. In: Prognosis and Outcomes in Surgical Disease. McKellar DP, Reiling RB, Eiseman B, eds. St Louis: Quality Medical Publishing; 1999:20-21. “Anaplastic thyroid cancer.” Shaha AR. In: Endocrine Surgery. Prinz RA and Staren E, eds. Georgetown, TX: Landes Bioscience; 2000: 80-86. “Prognostic factors and risk groups in well-differentiated thyroid cancer.” Shaha AR. In: Endocrine Surgery of the Head and Neck. Pelliteri PK, McCaffrey TV, eds. Clifton Park, NY: Thomson Delmar Learning; 2002. “Follicular carcinoma of the thyroid.” Shaha AR, Shah JP. In: Surgery of the Thyroid and Parathyroid. Randolph G, ed. Philadelphia; WB Saunders; 2003. “How to preserve the parathyroid glands during thyroid surgery.” Shaha AR, de Araujo Filho VF. In: Pearls and Pitfalls in Head and Neck Surgery. Cerneo CR, ed. New York, NY: Karger; 2008: 8-9. Visit PubMed for a full listing of Dr. Shaha’s journal articles. Pubmed is an online index of research papers and other articles from the US National Library of Medicine and the National Institutes of Health.